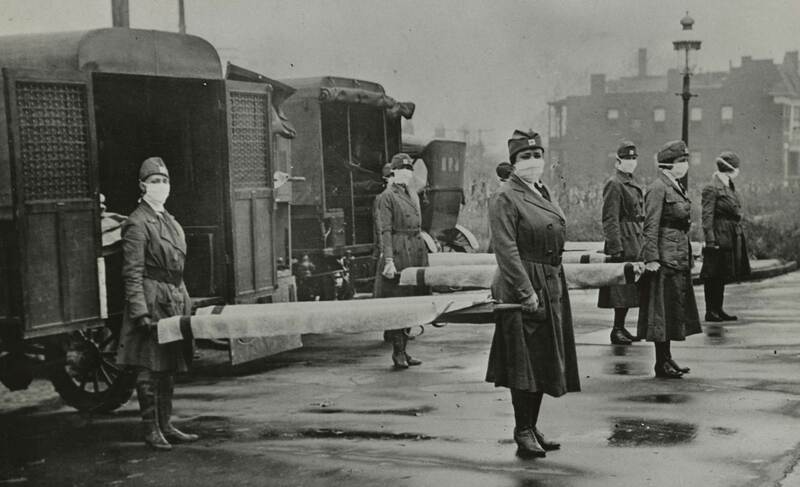 Could modern influenza outbreaks escalate into devastating pandemics like the 1918 ‘Spanish Flu’? This year’s flu season is shaping up to be among the worst in recent years. Already, 37 children have died from influenza-related symptoms. We’ve experienced two notable characteristics of flu this season: The first is that flu activity became widespread within almost all states and jurisdictions at the same time, The second is that flu activity has now stayed at the same level for 3 weeks in a row, with 49 states reporting widespread activity, each week, for 3 weeks….Flu activity has been elevated for 9 consecutive weeks so far this season. To put that into perspective, the average duration of a flu season in the past 5 seasons has been around 16 weeks, with the longest being 20 weeks. So, by this measure, we are about halfway there this season. That means we have several more weeks of flu to go. Most flu-related deaths occur in the old-age population, but each season there also are a number of pediatric influenza deaths reported, along with a handful of deaths in young adults, due to complications, mostly pneumonia. 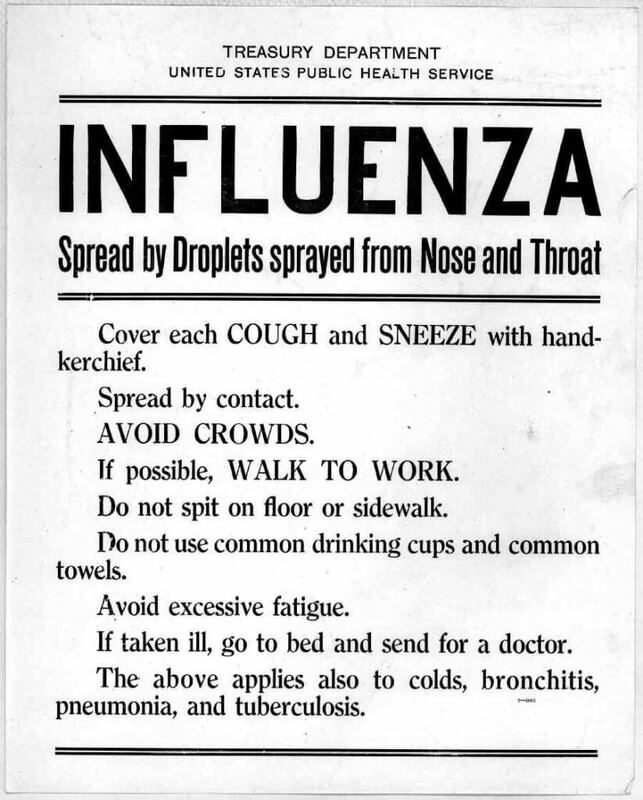 The yearly numbers tell us that seasonal flu is a serious disease, but this new year influenza also provides historical perspective that potentially could help with the management of the disease in the future. This year marks the centennial of the notorious 1918 influenza epidemic, the “Spanish flu,” whose death toll makes modern outbreaks seem relatively mild. Whenever we see headlines dominated by news of a current epidemic, it’s probably not unusual for some of us to wonder if a pandemic like the Spanish flu could happen again. The answer is a probable “no.” That’s because the viciousness of the 1918 virus appears to have resulted from a perfect storm of genetic, historical, demographic and medical factors that are unlikely to repeat. Still, researchers who study influenza viruses and their evolution do think that it’s realistic to envision outbreaks of new flu viruses that are more deadly than anything circulating through humanity now. Predicting future evolution of influenza, in context of what happened in 1918 may help to prepare us for managing new flu strains. When you think of 1918, the historical event that likely comes to mind is the end of World War I. Yet from a human mortality perspective, the Spanish flu outbreak was far more devastating for the world’s population. The death toll from the war is estimated to be around 6 million. The flu, on the other hand, is thought to have claimed 50 million to 100 million people over a four-month period. Despite its name, the notorious “Spanish Flu” did not originate in Spain. At the time, Spain was one of the only countries without press censorship, so stories about a deadly illness were coming out of Spain almost exclusively as millions were being infected around the globe. The cause of death was almost always secondary infection—bacterial pneumonia—developing in lungs that were made vulnerable by the effects of the H1N1 virus. Very importantly, perhaps the key to the mystery, there were striking differences in how the infection played out in different age groups. Whereas the seasonal flu that we know today kills mostly the very old and very young, the 1918 virus killed mostly young adults, those 20 to 40 years old, and particularly those 25 to 29 years old. Children, and especially senior citizens were spared, and not just that. Octogenarians actually survived the 1918 virus better than they survived the typical seasonal flu in the years before and after that pandemic, and this age phenomenon could make all the difference in how we target protection against future influenza pandemics. The big question then emerges: How do people in their late 20s develop pneumonia more readily than people in their late 80s? Before we answer that question, it’s vital to note that 1918 was a time before antibiotics. If every factor that produced the 1918 pandemic, including the virulence that the virus had in young adults, were combined in the same way today, the death toll would be far lower. That’s because antibiotics, computed tomography (CT) imaging, fluid resuscitation, mechanical ventilation, extracorporeal membrane oxygenation (ECMO), and all the benefits of modern medicine would be brought to bear against the outbreak. That said, it’s important to make sure we don’t squander our antibiotic capability by using these valuable drugs when not necessary, such as for viral upper respiratory infections (the common cold). As with vaccines against flu virus, effective antibiotic capability against bacterial pneumonia is an arms race in which we have to remain a step ahead of the evolution of disease causing organisms. Why were young people affected the worst? As for why young adults died so easily during the outbreak, the conventional wisdom for decades was that the virus must have thwarted some aspect of the inflammatory response in old people. Thus, ironically old lungs did not fill with fluid, while those of younger adults did, so the young adults were more vulnerable to secondary infection from bacteria on top of the viral infection. [To use an] analogy, let’s say you were first exposed to a human ‘orange lollipop’ flu as a kid. If later in life you encounter another subtype of flu virus, one from a bird and one that your immune system has never seen before but whose proteins also are of a similar ‘orange’ flavor, your chances of dying are quite low because of cross-protection. But if you were first infected with a virus from the ‘blue lollipop’ group as kid, that won’t protect you against this novel, ‘orange’ strain. It happened that in the 1830s there had been a flu virus whose antigens — proteins on the outside of the viral coat that stimulate the immune system — closely matched the 1918 virus. For children born from 1900 to 1918, protection was okay. But it wasn’t as strong as that of their grandparents or great grandparents, because around 1900 there was virus somewhat similar to the 1918 virus. On the other hand, in 1889, the world pandemic flu had been a very different virus —different antigens, different genetics—compared with the 1918 virus. Thus, people in their late 20s in 1918 had no protection against the Spanish Flu. To see how this works, we now need to look at those particular viral antigens and the genetics that generated them. When a foreign entity, such as a virus, exposes itself to the immune system, there is an initial reaction recognizable by the immune system producing a type of antibody, called IgM, against the invader. After several weeks or months —if the person survives the infection—the immune system sets itself up to make another type of antibody, called IgG, as a long term protection that can be turned on quickly if the person is ever exposed again to something similar. With influenza virus, a common group that makes people sick is called influenza A, and it stimulates the immune system with two proteins on the viral coat that surrounds the viral genetic material. One of these proteins is called H and there are different varieties numbered 1-18. Its role is to help the virus invade cells. The other coat protein on Influenza A is called N. It helps virus particles break out of infected cells and it too comes in several varieties that are numbered. 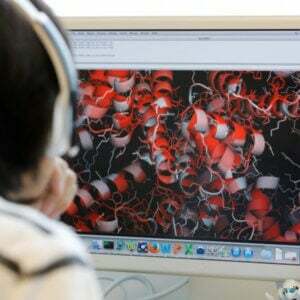 Scientists have been able to track the evolution of H1N1, H2N3, and other combinations, such as H2N7 avian flu, by looking at samples from humans and other animals, since frequently new permutations emerge from parts of the virus recombining with other parts and transferring between animal species. A leading hypothesis posits that the deadly H1N1 virus of 1918 emerged when parts of a similar virus from a bird were mixed with a preexisting influenza A virus. Similarly, the current H2N3 virus that’s a problem today —a type of avian flu, like H2N7, H5N1, and H7N9, because it is present mainly in birds, even though it can make humans sick — could evolve into a bigger problem. There also are swine influenza A viruses, and similar viruses of other animals that could move to humans. With any of these, there is concern that in mixing with human influenza A viruses could lead to novel aggressive properties in humans. Also contributing to the growing understanding of flu evolution are tissue samples drawn from the remains of 1918 flu victims preserved in permafrost in a town in Alaska. 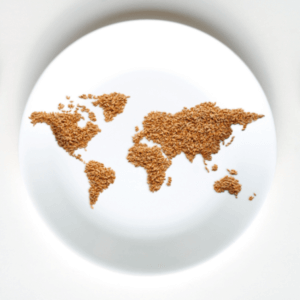 There is a fascinating history attached to how those samples were recovered and tested, initially without success, and then with success as genetic technology and knowledge improved. Vaccine development, especially in terms of predicting the emergence of new viral strands can benefit from evolutionary genomics work. Additionally, such research can support strategies for selecting age cohort groups to target for new vaccine development. This applies to flu vaccines as well as vaccines against the bacteria that cause secondary pneumonia. 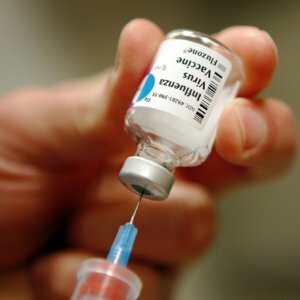 As an example of how this might work, the Arizona team suggested that people born in the late 1960s to early 70s could be particularly vulnerable were an aggressive influenza strain to evolve from the current H2N3, due to influx of some genetic element from an avian or swine strain. As a result, this age cohort should be a target for new vaccines aimed at thwarting potential pandemics. On the other hand, a big problem with vaccines for the ordinary seasonal flu is that they are least effective in elderly people, those who are most vulnerable to developing secondary pneumonia. To deal with that problem, perhaps flu vaccine research could benefit from an analysis of the strains that were circulating during the late 1920s and 30s, the time when our current octogenarians and nonagenarians were born. David Warmflash is an astrobiologist, physician and science writer. BIO. Follow him on Twitter @CosmicEvolution. I believe this article has one key error. 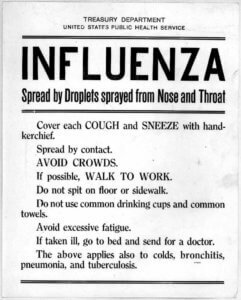 Two of my grandparents died in the 1918 influenza epidemic so I have followed it closely. I have read that most of the healthy young adults died from a immune response to the flu virus called a Cytokine Storm. This is a massive reaction of the immune system which overwhelms major organs and especially the lungs. Often people would go to work feeling fine and were dead by the end of the day so no secondary infections were involved. So a similar virus would have the same effect today as it did 100 years ago. You would have little or no time to seek medical aid. There could however be some level of genetic immunity given the massive loss of life and thus the survivors could pass along genetic traits that could aid their offspring.